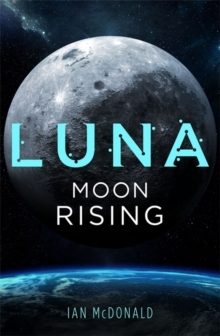 Optioned for TV by CBS in a massive deal, Ian McDonald's Luna trilogy has already been acclaimed as one of the most exciting and important SF series of the decade. This is Kim Stanley Robinson's Mars trilogy for a new generation; perfect SF for fans of Gravity and The Martian looking for a wider canvas and large-scale thriller format. Akin to the mafia families of The Godfather, the families of the five Dragons who control the rich resources of the moon are locked in an endless and vicious struggle for supremacy and now the peace that reigned while the moon was colonised is breaking down. Which of the scions of the dragons will gain supremacy? Or will the moon, with its harsh vacuum, it's freezing dark and blazing, irradiated light be the final winner?